Extreme Gaming emerged just a few years ago but has quickly made a name for itself as one of the best live dealer providers online. You will find standard live roulette, blackjack, and roulette tables, as well as incredibly unique live variants. We take a look at the company and how it has fast tracked its way to being one of the biggest live dealer names, alongside other top providers such as Evolution Gaming. Extreme Gaming was formed in early 2013 in the UK with the vision of challenging the live dealer competition. A year later the Novomatic Group acquired the live croupier company which catapulted Extreme Gaming into the spotlight. Then a partnership with NYX Gaming Group was announced to be in the works at the end of 2014, and cemented in early 2015 seeing the live games rolled out on the NYX Open Gaming System platform. This saw the real time games distributed to many top online casinos. Extreme Gaming’s mission is to overall create and distribute products which offer a unique experience for live dealer players. They aim to mimic land-based casino experiences, while still providing the comfort online gaming offers. This has been made possible by the Extreme Training Academy in London which intensively trains its croupiers. This ensures all games are hosted by the best. Extreme Gaming offers the standard live dealer games, but mixes things up with a range of unique variants. The software is smooth and special camera angles, as we detail below, make sitting at the tables quite enjoyable. Live dealer roulette by Extreme Gaming is incredibly unique. Not only do they offer hybrids with roulette rules and the chance to spin the pokies at the same time, but they also offer the chance for players to take things into their own hands. There are a number of standard live blackjack tables available with low to medium table limits plus VIP tables with high maximum bets. Many of the tables have side bets available too, including 21 + 3, Perfect Pairs, and Bet Behind. 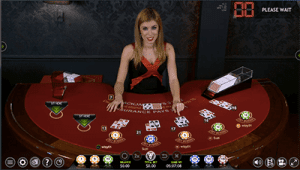 Besides the unique roulette, blackjack and baccarat variants on offer by Extreme Gaming, the live dealer software provider also offers special features to enhance gameplay. This includes X-Mode which alters the camera view of the game to create an incredibly intimate and interactive gaming experience. You can also adjust the video quality to suit your Internet connection without affecting this feature. The games have also been optimised for smartphones and tablets, or you can stick to instant play via your web browser on your desktop or laptop. Extreme Gaming is licensed by the UK Gambling Commission and the Malta Gaming Authority. This confirms the software has been analysed and is indeed streamed live with no interference or possibility of cheating by the providers. The live casino and the games available are also regularly tested by eCOGRA to ensure the games are fair and haven’t been manipulated by Extreme Gaming for their own benefit. Extreme Gaming also follow Novomatic’s Responsible Gaming Code, which ensures player protection is at the forefront while keeping in mind responsible gambling.